Accueil > News > Follow us on Linkedin and Instagram! 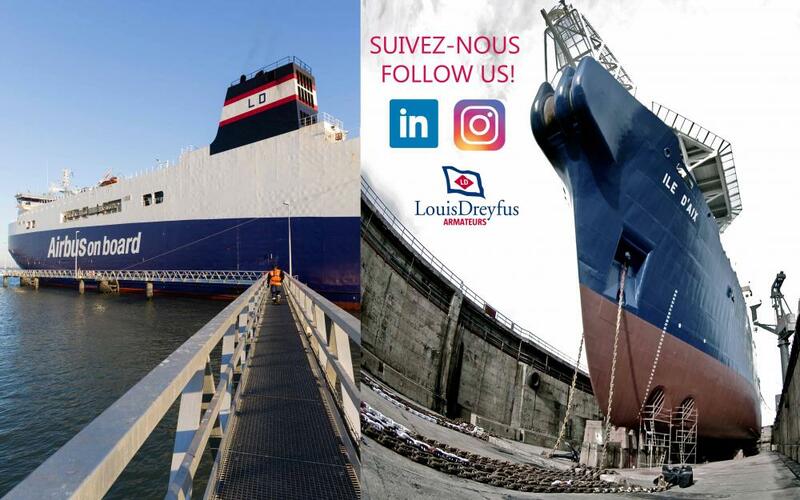 Follow the latest news from the LOUIS DREYFUS ARMATEURS Group on Linkedin and Instagram! Thank you to our 3000 Linkedin users and welcome to the future users of our Instagram page...! It's now time to follow us! And not the page « LOUIS DREYFUS ARMATEURS – Entreprise – Transports routiers et ferroviaires ». … Please subscribe to the right page.